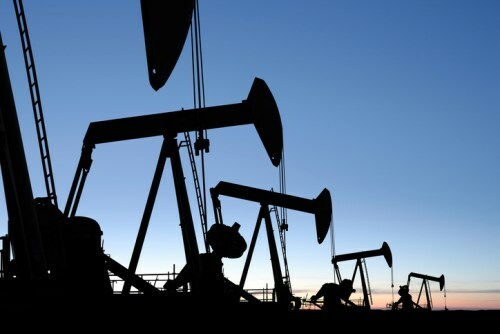 Rising concern about the growth of US oil stockpiles and shale oil output saw prices slump almost 1.5 per cent Wednesday which led to a slump in the energy group of the main TSX. The materials group was also down more than 1 per cent despite support for gold and the index was lower overall as half of the group sectors closed lower including the heavily weighted financials. Consumer staples and telecoms were the strongest groups. Wall Street saw another record close for the Dow but the S&P500 and Nasdaq closed lower following minutes of the recent Fed meeting gave credence to a March interest rate rise. European and Asian markets were mostly higher. Retail sales in December were down 0.5 per cent following four consecutive monthly increases Statistics Canada reported Wednesday. There were decreases in 82 per cent of retail trade, 9 out of the 11 subsectors; and when factoring out price changes, retail sales volume was down 1.0 per cent. Motor vehicle and parts dealers lost 0.9 per cent with new car dealers losing out while used car dealers gained. Food and beverage stores also saw a decline in sales while gasoline stations gained. Hudson’s Bay Co. is being sued by the Competition Bureau for alleged deceptive pricing which dates back four years. The company denies the allegations that it significantly increased the price of mattresses so that it could then discount them as ‘sale’ items. The Competition Bureau says this has been happening since 2013. HBC says that it believes that its pricing is fair and in line with other retailers and will be rigorously defending the claims.